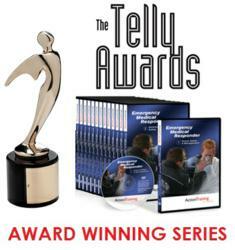 Action Training Systems is pleased to announce that the company was recently awarded two separate Telly Awards® for their work on their Emergency Medical Responder training series. ATS received bronze awards for the titles, Neurological Emergencies and Obstetrics & Neonatal Care. 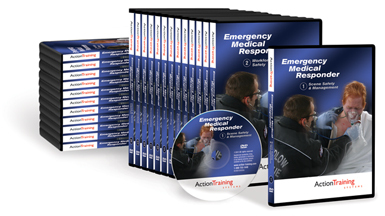 "Action Training has produced an exemplary series of videos for the EMR. The videos are very educational and are created at a level that is appropriate for EMRs. 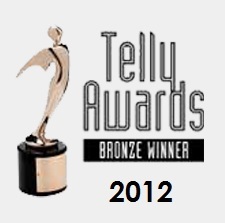 The Telly Awards receives over 13,000 entries annually from the finest ad agencies, production companies, TV stations, interactive media agencies and corporations around the world. It is a remarkable achievement to be selected for recognition. Action Training Systems’ winning programs were judged in the category Non-Broadcast Productions - Education (for academic use). 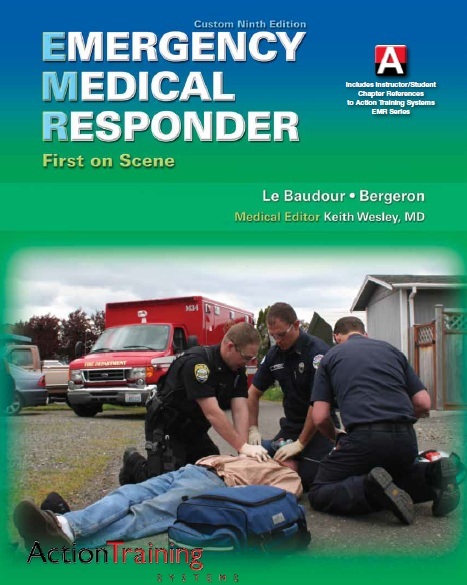 The Emergency Medical Responder (EMR) series includes 25 training programs. These programs include demonstrations of important life-saving skills, as well as assessment and management techniques for first responders in the pre-hospital field. Action Training Systems’ programs have always been based on national standards. This series is based on the current National EMS Education Standards (NEMSES). As a result, the series makes an excellent teaching companion to industry-leading manuals and other training materials. The Neurological Emergencies program presents compelling simulations of seizures and strokes and how responders can assess and care for these conditions. The Obstetrics & Neonatal Care program features real footage of the labor and delivery of a child outside of the hospital environment and demonstrates how to provide care for pregnant trauma patients. The ATS production team works with real fire, law enforcement and EMS personnel to produce high-quality video care demonstrations that meet national competency requirements. Special effects make-up artists, bleeding simulators and patient actors all add to the realism of the demonstrated techniques. All ATS content and demonstrations are also reviewed by leading industry experts to ensure only accurate techniques are shown. Action Training Systems has over 23 years of experience and knowledge in producing training programs for emergency responders. The company provides high-quality content and video demonstrations on DVD as well as interactive computer-based training (CBT) and scorable simulation courses that all run on the Iluminar Learning Management System (LMS) software platform. Professional trainers find the learning management system helps them verify the students’ proficiency in the course content and boosts first responder confidence at the scene. Emergency responders find it helps them effectively meet training requirements and prepares them to provide care with confidence when serving their community. Other training series by ATS include the Essentials of Fire Fighting, HAZMAT, Bloodbore Pathogens, Fire Service Recue, First On Scene, Fire Officer 1,Industrial Fire Brigades and much more. This training is a valuable resource to a variety of industry professionals including—but not limited to—firefighters, law enforcement, industrial first responders, private security, private ambulance services, military, safety officers, HAZMAT teams, search and rescue, utility workers and all other emergency responders.